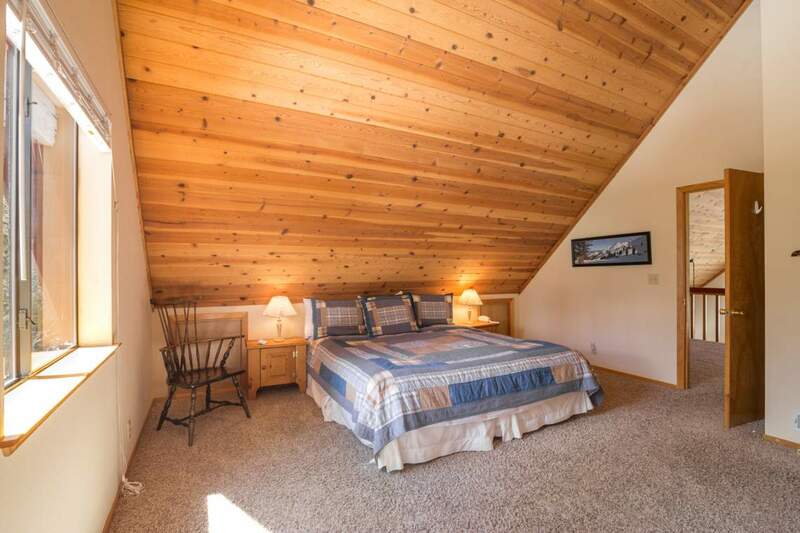 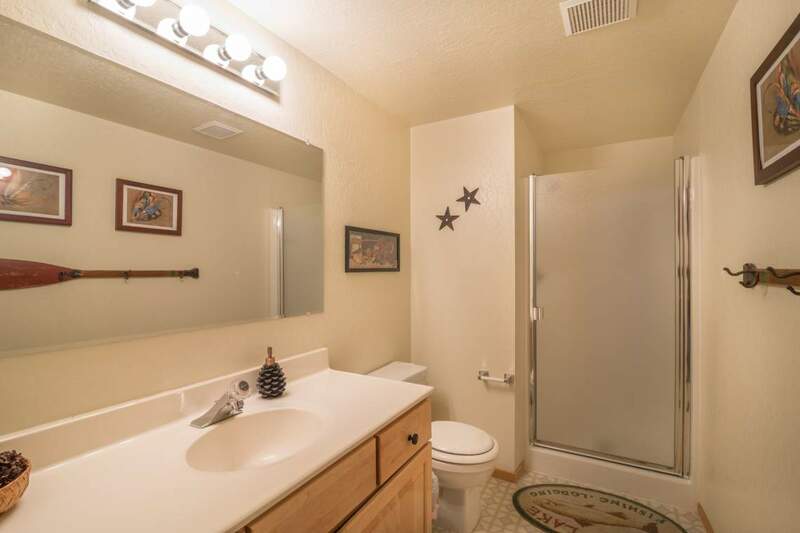 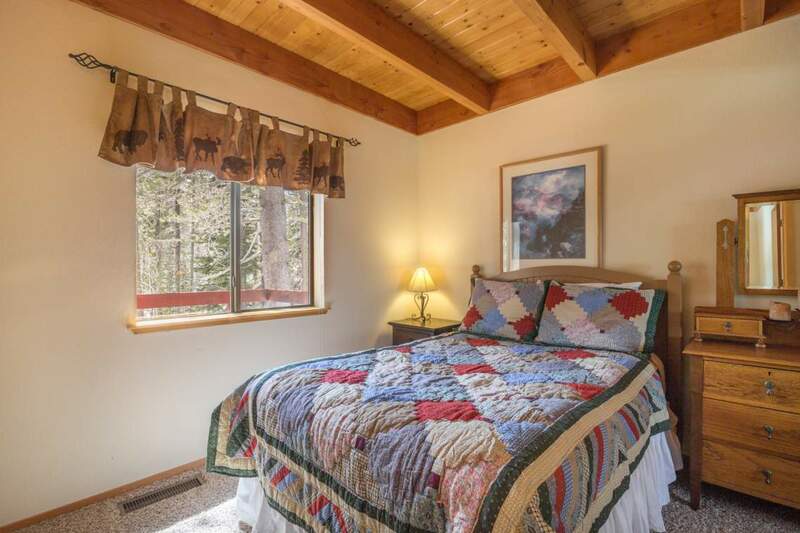 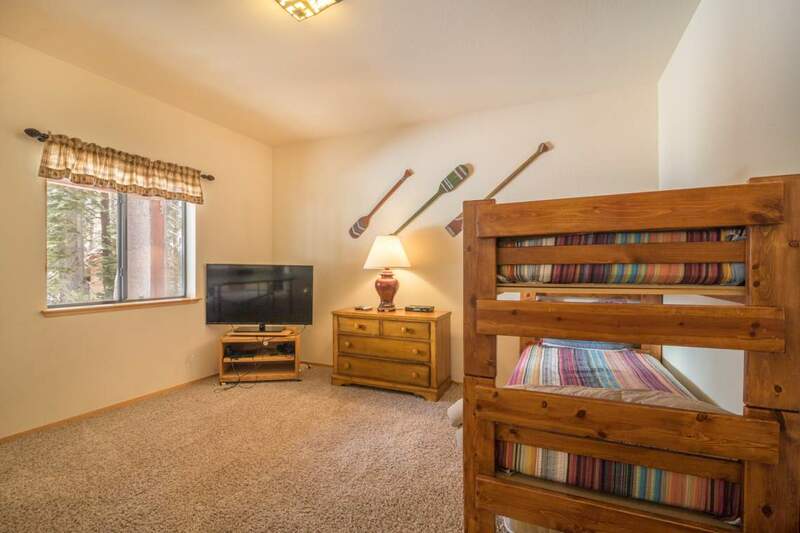 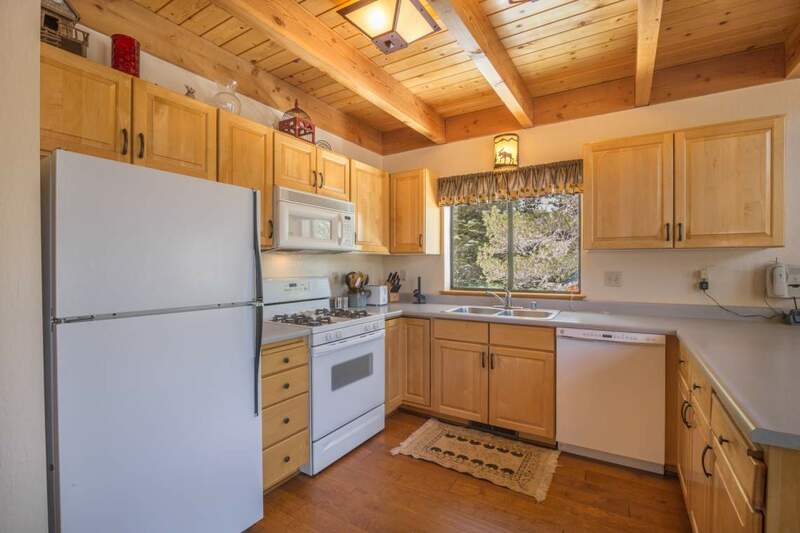 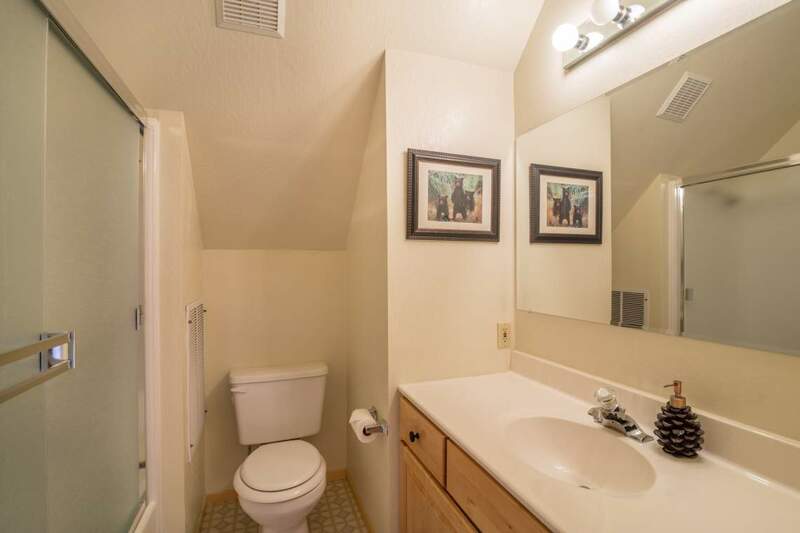 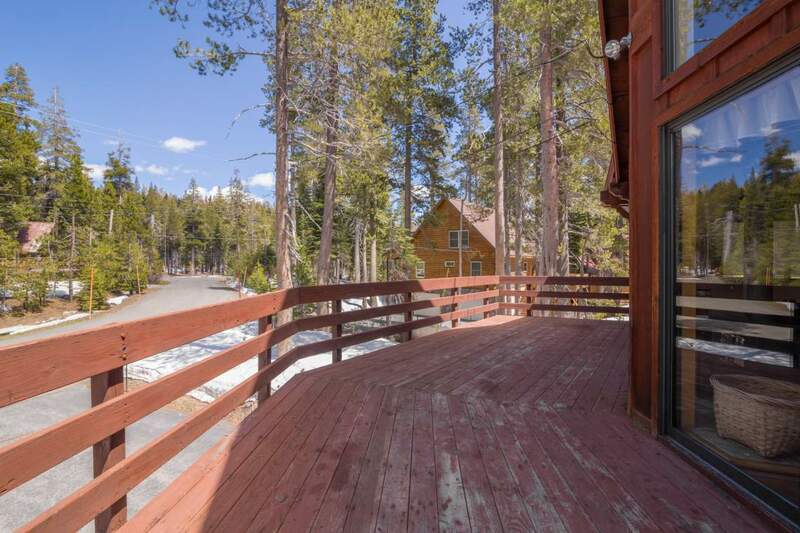 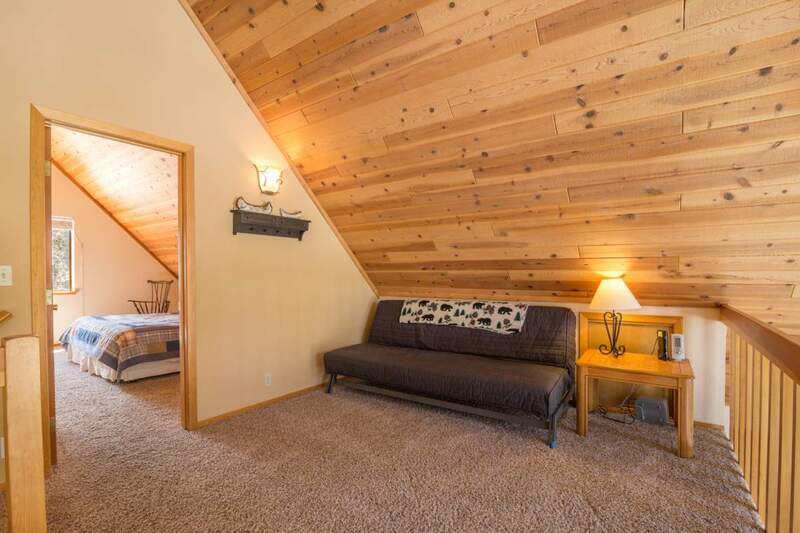 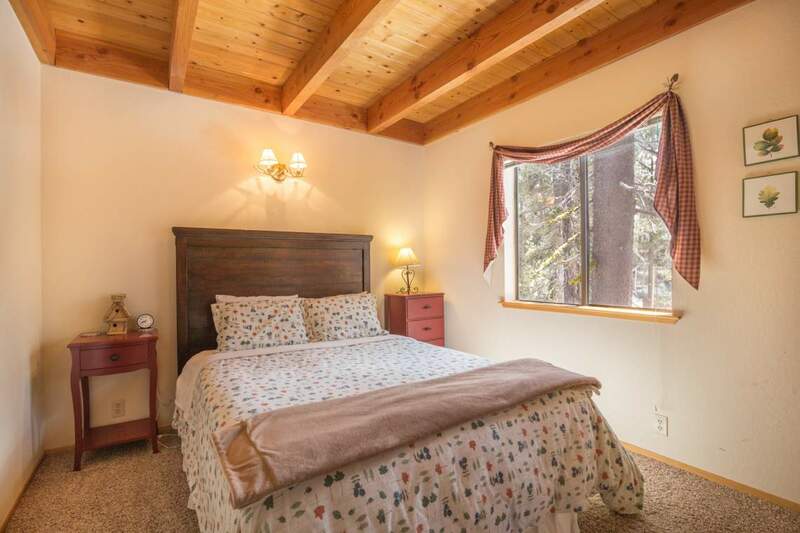 This lovely remodeled cabin is nestled in the woods on a quiet street in Serene Lakes. 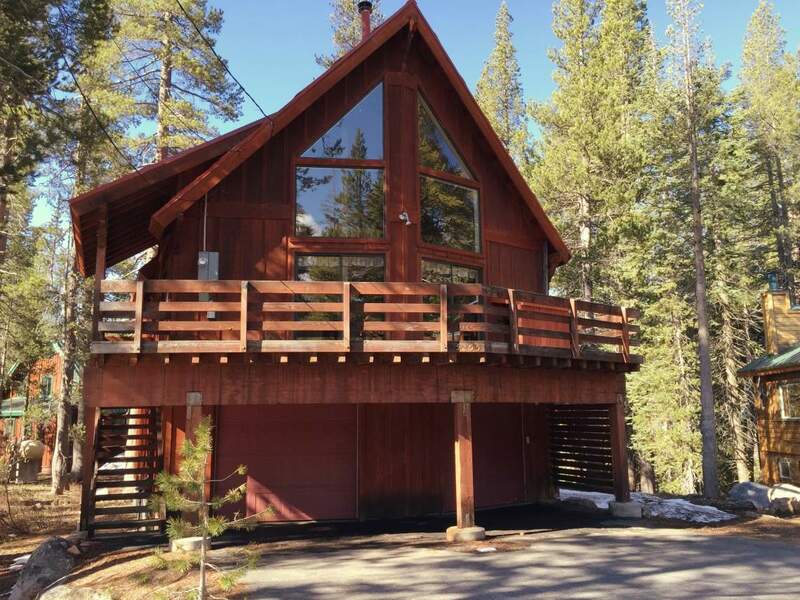 Close to the lake and minutes drive away from multiple ski resorts, this cabin is perfect for any vacation. 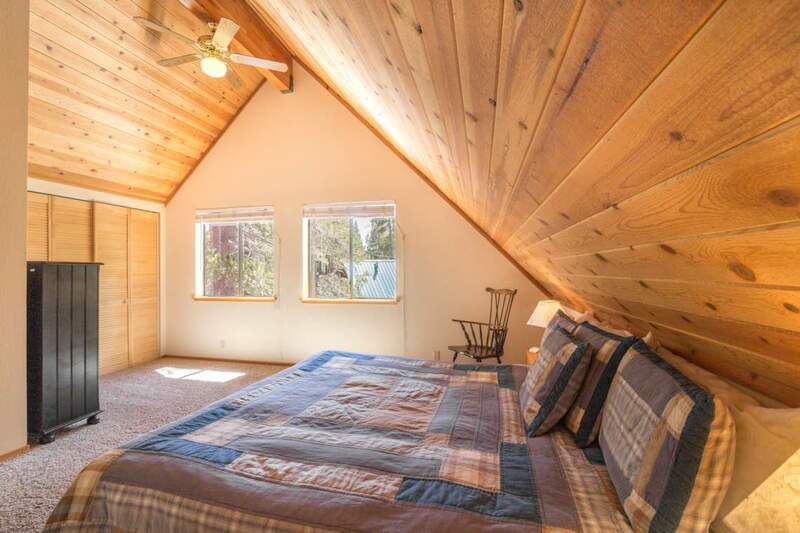 A Cabin in the Woods is big enough for the whole group with four bedrooms, two bathrooms and a two car garage. 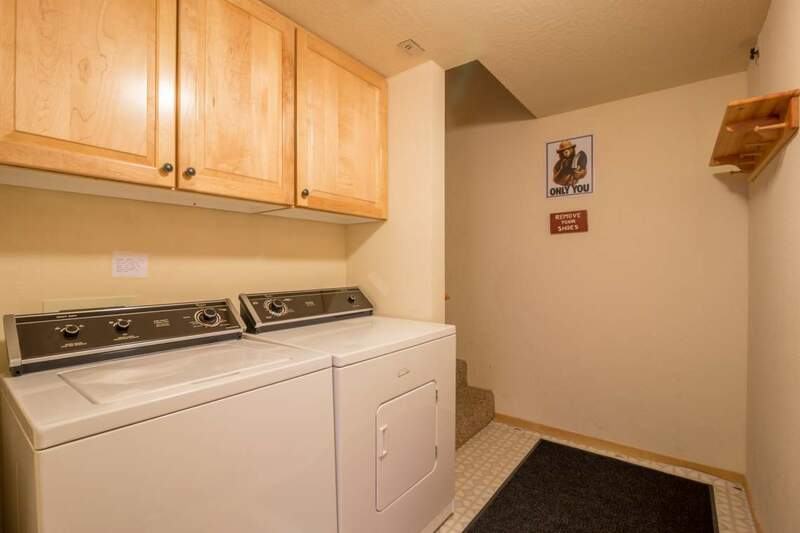 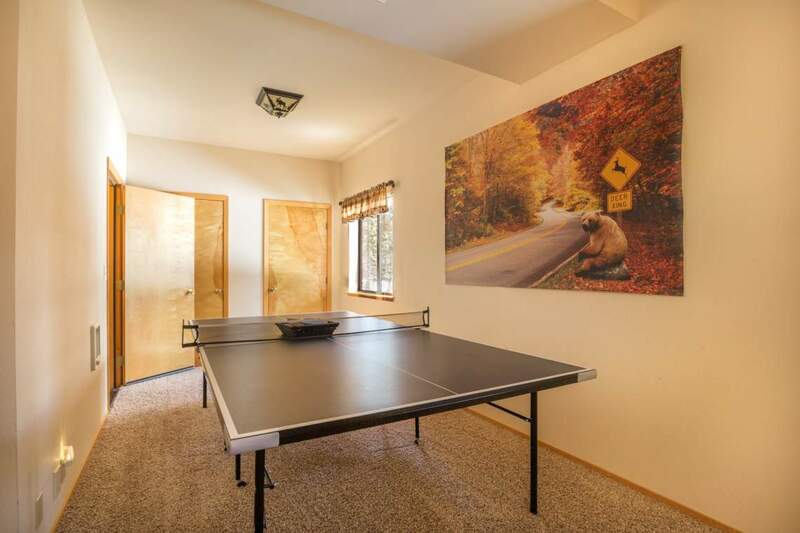 It has cable TV, a ping pong table, and a DVD player, allowing you to remain entertained even when you aren’t outside exploring the picturesque landscape. 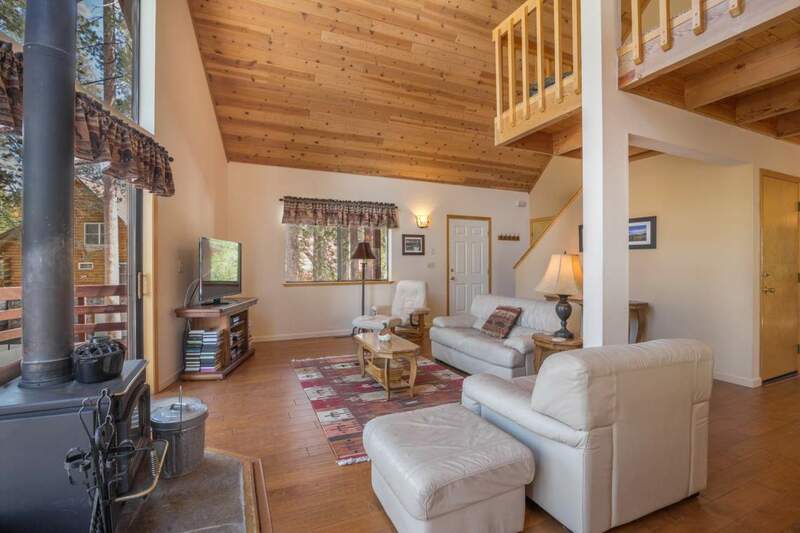 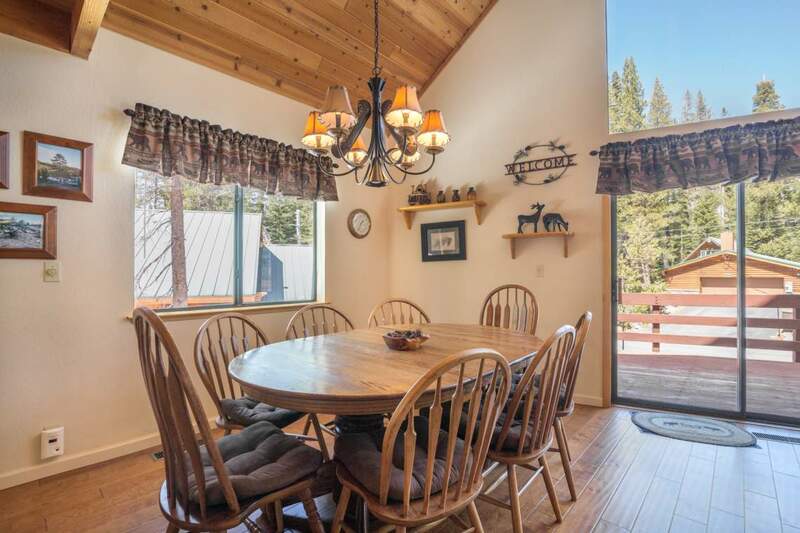 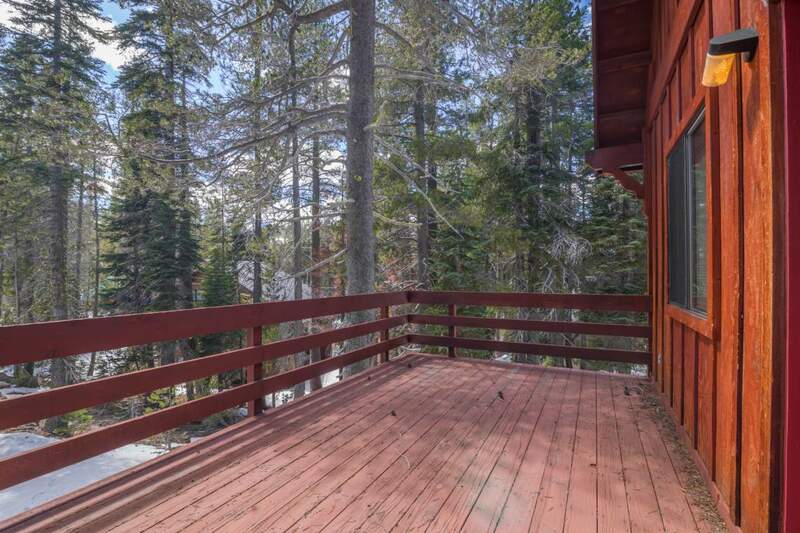 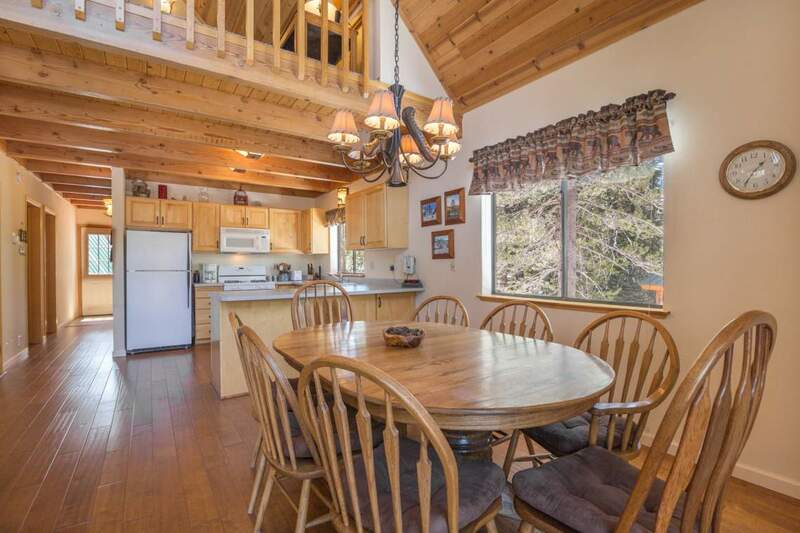 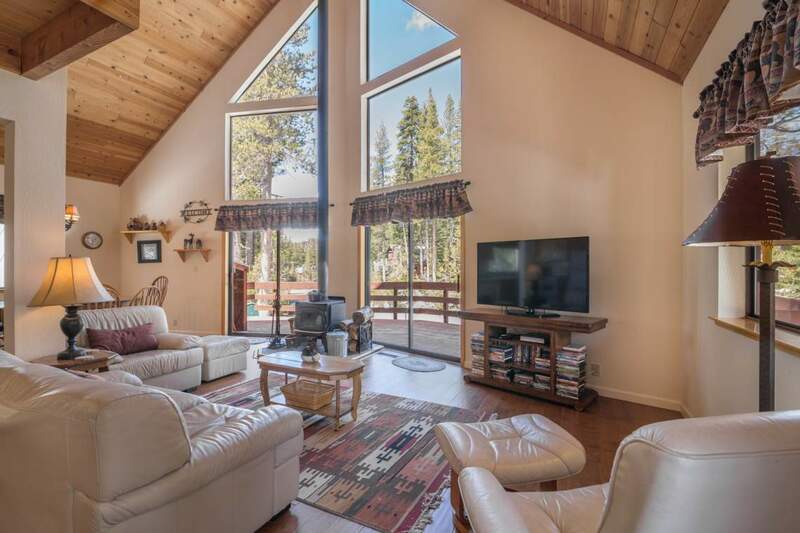 Sit in front of the fire and watch the sun set, enjoy a meal with family and friends around the large dining table, or sun bake on the front deck, this cabin has everything you need for a mountain getaway.